Kali, the enigmatic Black Goddess is also regarded as the goddess of death, doomsday and time. The Hindu goddess is revered and worshipped across India, especially in West Bengal and other eastern states in the country. So, if you ever happen to visit Kolkata, then don’t forget to seek the blessings of the goddess at the famous Kalighat temple that is dedicated to the deity. As a true devotee of goddess Kali, I along with my family members decided to pay a visit to the temple in the month of March. We started early (around 6 a.m.), as Kolkata is usually hot and humid after 10 ‘o’ clock during the morning hours. I was thrilled at the idea of paying a visit to the goddess and worshipping her. We took a cab (a yellow coloured taxi) to get to our preferred destination. The taxi dropped us a couple of meters away from the temple and we walked a few steps to reach its entrance. We removed our shoes outside the temple premises and covered the distance by foot. The temple boasts of simple yet fascinating architecture. Located in southern Kolkata, the Kalighat temple is a two hundred year old temple, which is famous for its Kali idol, built by two popular saints Brhmananda Giri as well as Atmaram Brahmachari. The idol features three charismatic eyes, a protruding long golden coloured tongue and four hands that are carved out of gold. Although there were many guides present at the temple, we decided to keep them at bay. We wanted to explore the temple on our own. Hence, all of us agreed to wait in the queue before we could actually worship the goddess and bow our heads before her. 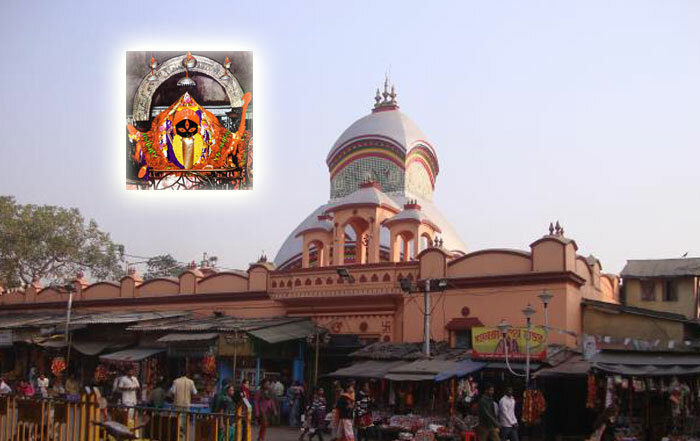 The Kalighat temple is also regarded as one of the prominent Shakti Peetha, by the Hindus. According to the Hindu Mythology, the Shakti Peethas emerged as a result of the Daksha yajna as well as due to the self immolation of the Sati. It is widely believed that Sati, also known as Shakti who was married to Lord Shiva, was unable to bear all the insults that her father Daksha inflicted upon her as well as her husband. Following the insult, she jumped into the yajna fire and immolated herself. 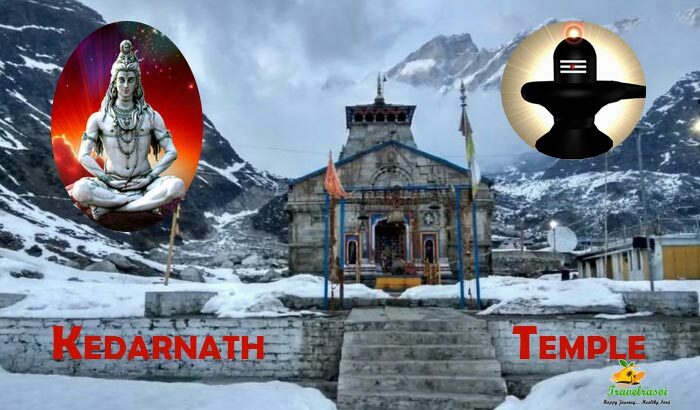 This incident infuriated Shiva and he began the “Dance of Destruction” or Tandav. He later calmed down after Lord Vishnu somehow chopped Sati’s body into 51 pieces, which fell in different parts of India. 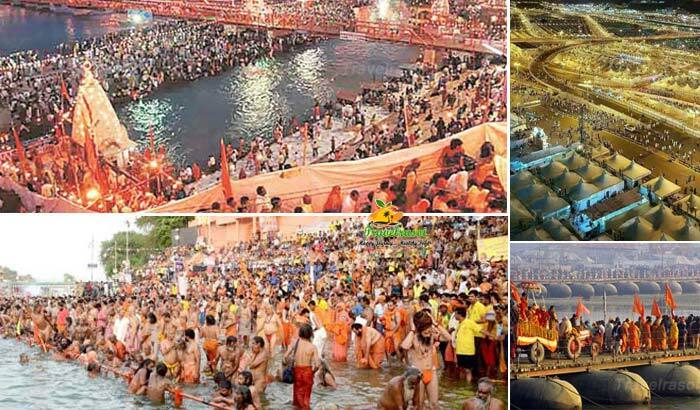 Thus, each of these 51 Shakti Peethas has a temple featuring the Shakti as well as Lord Shiva or Bhairava. It is also believed that Sati’s right toes fell at Kolkata’s Kalighat. After finishing our prayers and enjoying the prasada, we decided to head out and visit the temple surroundings. It was a beautiful sight. Once outside, you’ll find innumerable small shops from where you can pick the idols of the goddess and other puja products (i.e. products used while worshipping Hindu Gods and Goddesses). In order to get to the Kalighat temple, you can either catch a bus or book your own cab, whichever is convenient. Almost all the buses ply through Shyam Prasad Mukherjee road and the Kalighat temple is located off this particular road. Additionally, one could also reach the temple via the metro railway with the nearest metro station located at Kalighat and Jatin Das Park. 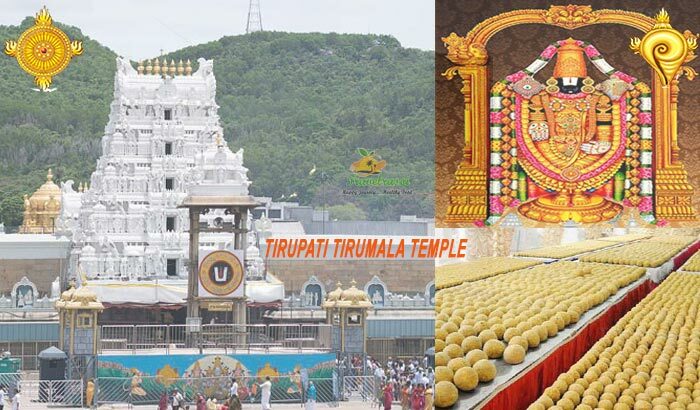 The temple is open from 5 ‘o’ clock in the morning to 2 p.m. in the afternoon and from 5 ‘o’ clock in the evening to 10.30 p.m. in the night. Share the post "Kalighat Temple-Where Devotees Seek the Blessings of the Goddess Kali"
Travel Lovers – Here are a few tips to pick the perfect travel laptop!